I was going to post photos from the Kim Harrison signing I attended up in Denver last night, but I've decided to save that for my Monday post, as today we're opening A-to-Z sign-ups (though it sort of started yesterday for those overseas...), and because I don't want to make it so wordless. Yes, today you, too, can add your name to the A-to-Z linky list in order to join us on a wondrous journey of alphabetical proportions in the month of April! 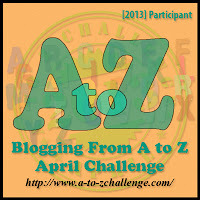 The A-to-Z is a blog challenge that asks you to post every day in April, save Sundays, in alphabetical order. So on the 1st you would post with an "A" theme, the 2nd with a "B" theme, etc. You can choose to write about any topic for each day, as long as it has to do with that day's letter of the alphabet. Some do themes. Others wing it. I've done both, but am thinking I will do a theme again this year. No promises. For more information on the A-to-Z, you can click HERE. This year, due to popular demand, we are opening up categories. You may choose to add a single category code to the end of your blog name when you sign up on the linky. You are in no way required to do this. I won't be, as I feel my blog fits into several categories, and I don't want to pigeon-hole myself. If your blog fits several categories, but you want to categorize, choose the one that fits you best, or that best fits the theme people will stumble across during the A-to-Z. Please write your code in capitals and in parentheses. Note: If your blog has adult content, that MUST be the code at the end of your blog title. All adult content sites must be marked as such, because we may have minors participating. Due to the length of the sign-up linky, you can find it on the A-to-Z tab above, rather than in this post. Also, I guest posted on the A-to-Z on how to make a hyperlink signature to lead people back to your blog. Please check it out if that's something you'd be interested in learning. And if you'd like to help spread the word on the A-to-Z, we'd greatly appreciate it! Hope to see you on the A-to-Z road! 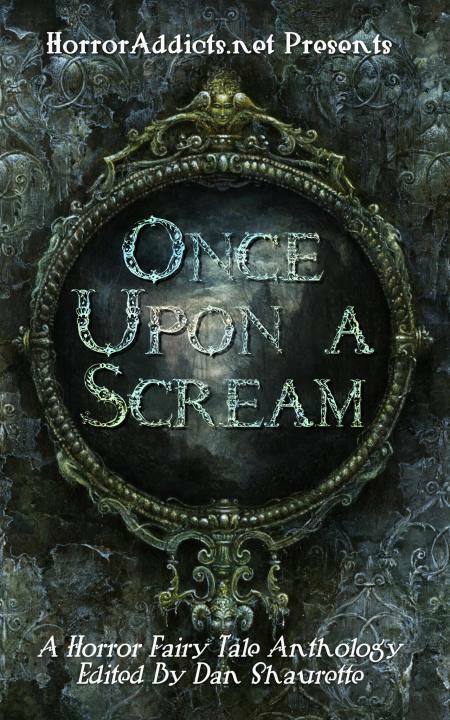 Severed Press is accepting submissions for horror novels and novellas. 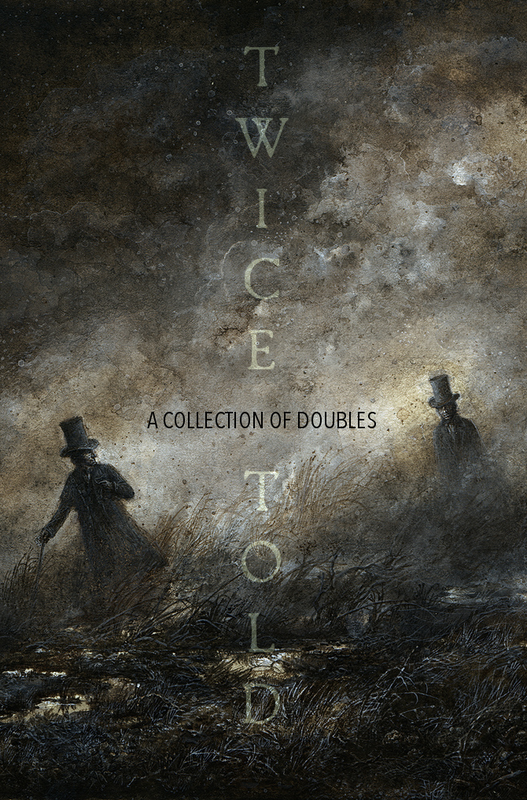 Less Than Three Press is taking submissions for two different anthologies. One has to do with messages discovered late, and the other has to do with vicious vampires, not afraid to be the beasts. Paying markets. 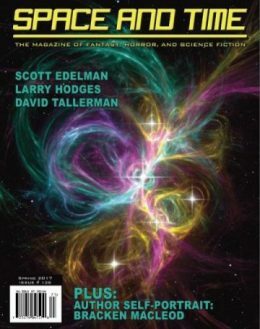 Chuffed Buff Books is accepting submissions for novellas and novelettes in science fiction or science-based genres. 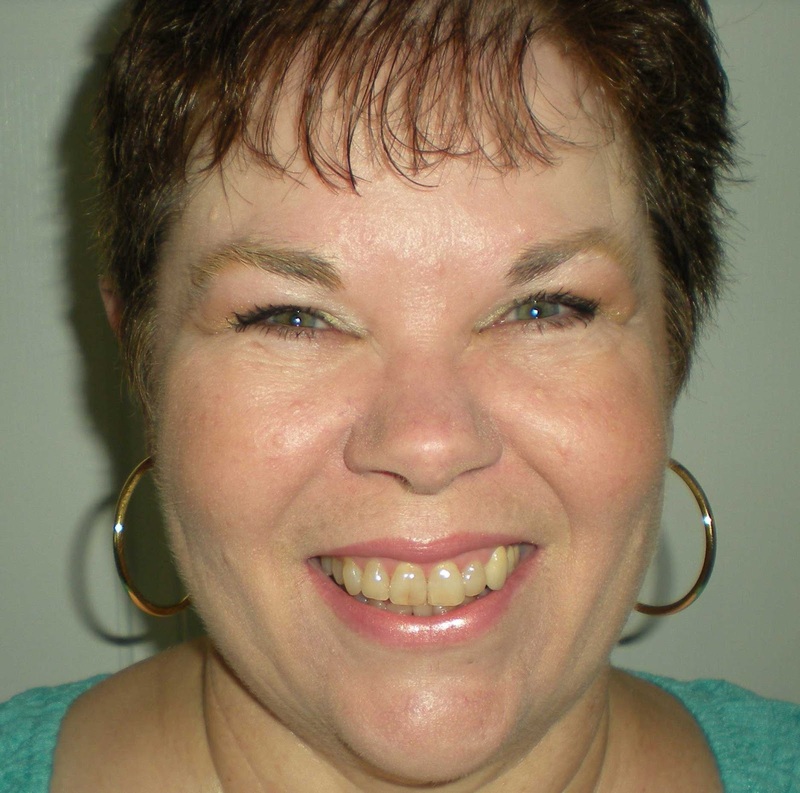 Beth Revis is having a Paying it Forward Contest with 21 prizes. Check out her blog for requirements. 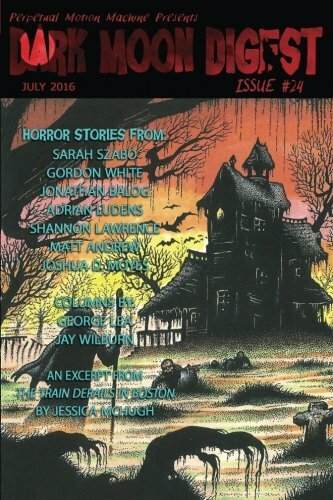 Horror Novel Reviews is having a monster short story contest. $100 to the winner, plus being featured in the marquee. Screenwriters, check out Scriptapalooza, a contest for scripts. Any genre. First prize is $10,000. New Rocky Mountain Voices 2013 Competition is looking for one-act and ten minute plays for their competition. Winning plays will be performed onstage. Sharon Bayliss is having a World Building Blogfest that started Monday, the 18th, and goes through February 3rd (not the 34rd, like I typed the first time). You can still sign up, even though it has already started. Chuck Wendig, of Terrible Minds, wrote 25 Hard Truths About Writing and Publishing. The 2013 Colorado Gold Conference, put on by RMFW (Rocky Mountain Fiction Writers) is seeking workshop proposals through March 15. Howard VanEs is offering a free webinar on Cashing in with Kindle Books. You must register. Thursday, January 31. Anything to add? Any of these interest you? Signing up for the A-to-Z this year? Well, hi, it's Monday! I know, you were trying to forget that, right? I've read the book many times over, but I'd forgotten this one, and it struck me in so many ways. But today, it strikes me as being all about story. 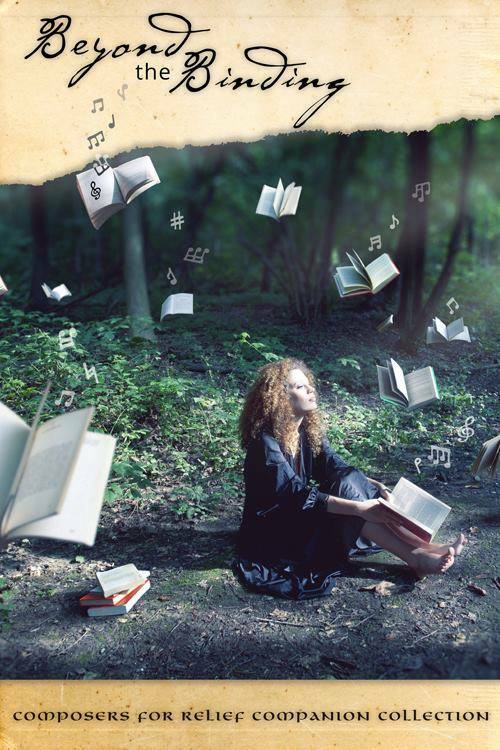 When you read a book, you have the ability to imagine it in your head, to create the monsters from a description, to picture the characters, to see and feel the setting. Words on the page can only do so much without your mind. It's your mind that finishes those words, that twists them into the stories within you, and that makes you feel what you feel. When you watch a movie, you're forced to see what they chose to have you see. Everything is laid out, and you have no real choice in envisioning characters and settings. If they've made a crappy monster, that's all you'll see. Whereas, if a monster is written to be not so great, it can become so much more within you. Remember the magic in your stories, and in the stories of others. It's a beautiful thing, but no one can hold your hand. You have to take those last few steps on your own. Now, I'm participating in two blog hops today, but both are brief. What can I say about myself? I discovered the joy of writing in elementary school when a teacher gave us each a photo prompt and told us to write for 15 minutes. Mine was a picture of the Earth. From that day forward, I've always loved to write from a prompt (or any other ol' way). 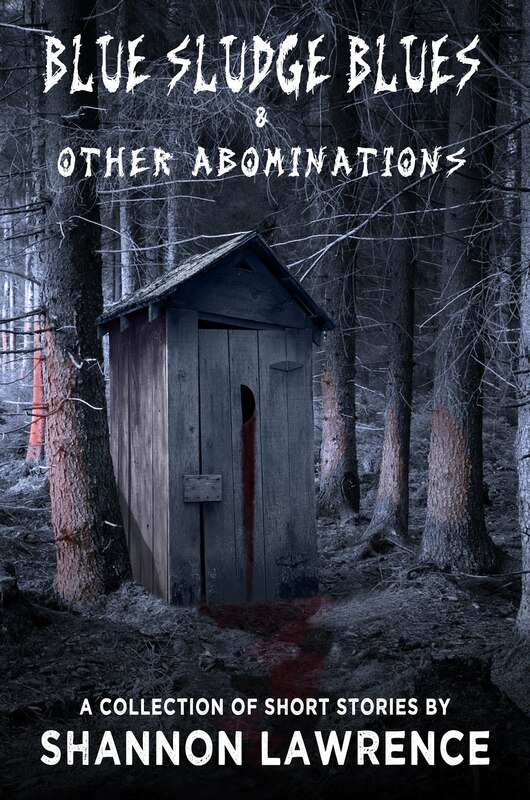 I write mostly horror, urban fantasy and post-apocalyptic. I have a fascination with history, especially all things Wild West. I also enjoy photography, though I haven't had the opportunity to take any photography classes yet. Sometimes I get lucky and get a really great photo, and often they're okay. I'm blessed to live in a place where I'm exposed to gorgeous natural surroundings, which provides much of my photo fodder, along with my kiddos, who I love to photograph. For random factoids on me, you can see an About Me post I wrote last year, HERE. Thank to Stephen Tremp, Mark Koopmans, Elise Fallson, and C.M. Brown for this blog hop, intended to help all us bloggers get to know each other! Now, thanks to Mina Lobo, we have the Lunar Lovin' Hop. I was sad I couldn't get any good pictures, and not because the sky wasn't clear - it was. I just didn't have the knack tonight. Here's what I got, though. I could see it completely clearly through the telephoto lens, but I was too cold and shaky to get a good pic in the dark. I tried the tripod, but the lens was too heavy, so it relied on me to balance it anyway. Still, I loved sitting out in the dark, gazing up the moon. Peaceful. It was about 11:15 PM when I took the photos, here in Colorado Springs. The constellations were so clear. Utterly gorgeous. What I'm reading: Annwynn's Blood, by Michael Eging and Steve Arnold. Have you taken the time to enjoy the moon lately? What random fact do you like telling people about yourself? Did you enjoy Shel Silverstein as a kid? When was the last time you read his work? Hi all! I made it home safely last night, after several hiccups, adventures and an emotional breakdown that was a long time coming. I wrote up an entire big huge post about it all, only to have Blogger or Google Chrome freeze up on me. It's 2:40 AM, and I need to get to bed, having been going non-stop since this morning. So my apologies for a lack of post, but here are the links, at least! I'll be back on schedule come Monday. (Also, I guest posted at the A-to-Z blog on Blog Hops/Fests & Memes, as part of the continuing Blogging Basics series for beginning bloggers). Massacre Publishing is accepting novel-length submissions at this time. Samhain Publishing is seeking manuscripts in horror, urban fantasy, romance and erotica. 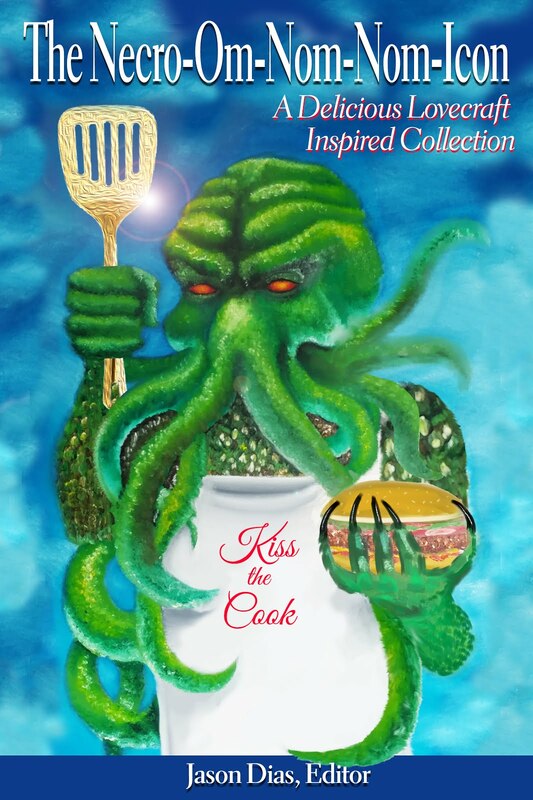 Kraken Press is seeking novellas and novel-length fiction in horror and weird fiction. 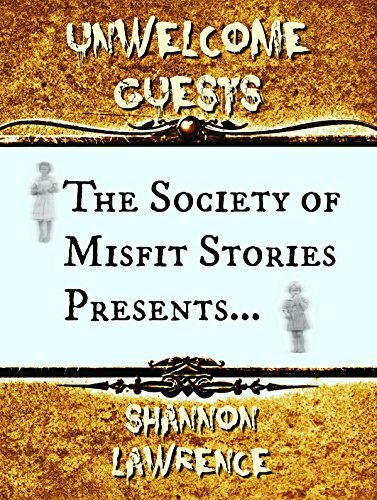 Andrew Leon, of Strange Pegs, is hosting the Great Chocolate Contest, wherein you write a short story set in the Imagination Room from his book, The House on the Corner. Due February 6. Chocolate prize, plus possible publication in a collection of short stories. 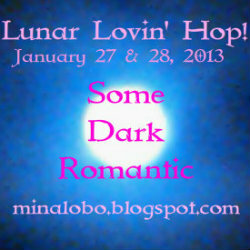 Mina Lobo, of Some Dark Romantic, is hosting the Lunar Lovin' Hop January 27 and 28. She asks that you photograph the full moon on the 27 and post it on your blog. That's it! You have one more day to participate in Jamie Ayres What Are Your 18 Things Blog Fest. Post about your bucket list by tomorrow, the 24th. There are a variety of prizes up for grabs. Stephen Tremp, Mark Koopmans, Elise Fallson, and C.M. Brown are hosting the Reintroduce Myself Blog Fest January 28. The rules? Just tell us something interesting about yourself. Another easy one! Michelle Wallace and Elise Fallson are hosting the She Said What Blog-o-versary and Giveaway Bash February 18-20. They'll be posting a cartoon, to which you will add the dialogue. B2C, or Business to Community, is a forum on social media. Possibly interesting to check out for writers/bloggers. Red Room is an online community of writers, with many available features. Definitely worth checking out. Anything to share? Anything up there stoke your interest? Hi! Before I get down to business, I have some news to share. 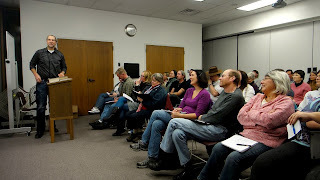 I took a director position (non-conference events) with Pikes Peak Writers. I'm excited to jump in, and just wanted to share the good news! My taking the position was official as of yesterday, and we announced it at the Write Brain meeting today. Speaking of the Write Brain, that's my [Mostly] Wordless Wednesday photo. One of the attendees threw a photo up on Facebook and I happened to be in it, so here we are, listening intently (and with amusement) to Aaron Ritchey (also one of the columnists at the Pikes Peak Writers blog, Writing From the Peak). I'm the one in the front row in dark purple, laughing at Aaron, because darn it, he's funny! As you're reading this, I'm doing laundry and packing for my trip to Illinois. Tomorrow I head out to Great Lakes, IL to attend my baby brother's Navy boot camp graduation. He'll be going from there to more schooling in Connecticut then Florida, which is where his next graduation will be. Woo-hoo! I'm hoping to come back with some great photos of Chicago and maybe Lake Michigan, so here's hoping I get some good ones to share on [Mostly] Wordless Wednesday! Nick Wilford, at Scattergun Scribblings, is having The "Overcoming Adversity" Bloghop February 4-5. 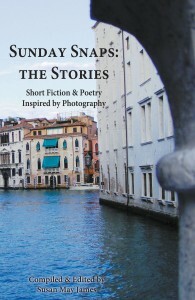 You can post a piece of flash fiction, flash memoir or poetry, 500 words or less, to be featured in an anthology. Profits from the anthology will go to sending his stepson, Andrew, to college. If you haven't read Andrew's story, please check it out here. 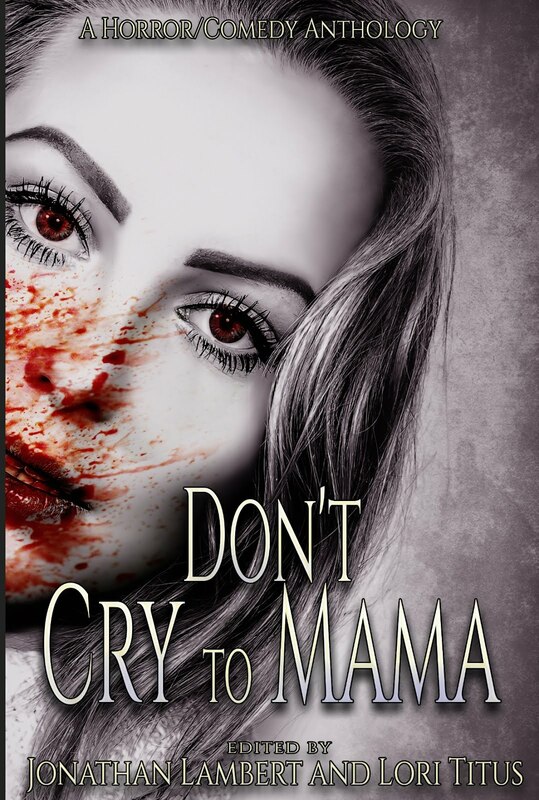 Jolie Du Pre, of Precious Monsters, will be hosting her Vampire Bite Blog Hop February 14. You can write anything you want about vampires. She intends to promote each of the participants' entries, so bear that in mind. Also, she has warned that there may be erotica authors taking part; if you're under 18 or uncomfortable with erotica, you may not want to participate. Scribblings of an Aspiring Author is introducing a new weekly meme. Held each Friday, Celebrate the Small Things asks you to post about one thing you'd like to celebrate for the week. Can be posted with whatever your usual post is. Annalisa Crawford will be hosting her first bloghop, the Imaginary Friend Bloghop, February 1. Did you have an imaginary friend? Well, they could win you a $10 (or 10 pound) Amazon GC or a critique. 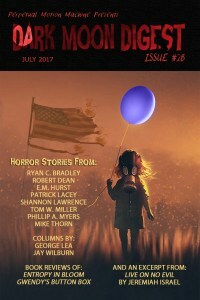 Big Pulp is accepting submissions for a themed anthology called "The Kennedy Curse" through January 31. Can be fiction or poetry, any genre, as long as it relates to the Kennedy family. This is a bit different than the usual accepting submissions entry. Collective Presse is launching, expired by famous groups of writers long ago. They're trying to go back to the way writers used to work together by having a collective gathering of writers that will work together. Check out their website for more information. 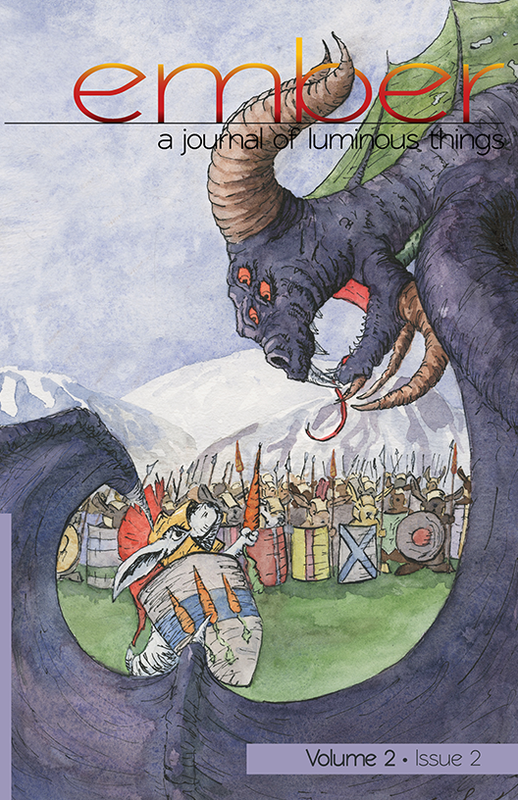 Pilgrimage Magazine is accepting submissions. Literary non-fiction and poetry are read year-round. Fiction is considered by solicitation only. 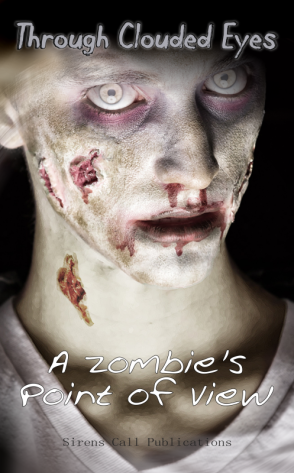 Marion Margaret Press is accepting submissions for the anthology Confederation of Steam vs Zombies. Deadline is March 31, or when filled. There is a specific theme to be followed, so read the requirements carefully. $10 payment, plus e-book and print copy of the book. Rose & Thorn Journal will be putting out their spring issue, then closing down. They are taking submissions for this issue through February 28. Fiction and creative non-fiction. Still Moments Publishing is accepting submissions for their Unleashed collection. Romance where a dog is responsible for bringing the hero and heroine together. Appears to be open until filled. Shoreline Scripts Screenwriting Competition is open until January 21, and is open worldwide. They are looking for one submission to put into the competition for free. Cash prizes, as well as possible script optioning. It's time for the annual Amazon Breakthrough Novel Award Contest. Unpublished authors only. Deadline January 27 or when maximum number of entries have been received. Grand prize is a publishing contract and advance of up to $50,000. Rough Writers is a new playfest put on by the Colorado Springs Fine Arts Center. Write a play script inspired by one of three provided works of art. $10 fee for entry. Unsure whether you should be local. Flavorwire put up a post by Emily Temple about The 10 Grumpiest Living Writers. Blogger LinkUp is an interesting site where you can sign up and either find positions guest blogging for someone or request guest bloggers. Free site; no charge for either seeking guest bloggers or writing gigs. That's it for this week's links! Don't forget that there is an ongoing Rafflecopter giveaway for an e-book copy of Forever Girl in this post about Rebecca Hamilton's Forever Girl Anniversary Tour and Character Giveaway. You can also visit other blogs on the tour, as listed in that post, to win various other spectacular girly goodies. Guys, you can always enter to win for the ladies in your life. Finally, I am still playing catch up on some blog comments on here. I've had some turmoil in my life lately, and it has caused me to get behind on some things. Responding to comments is one of those things. As always, I WILL get around to everyone, and I always read through comments when they come in, and I appreciate your comments, each and every one. I will reply to you if you've left me a comment. Anything on here catch your attention? Attended any interesting writing-related events lately? Feeling inspired or feeling winter blahs (or both)? I guest posted over at the A-to-Z Challenge today on Blogging Basics: Making Bloggy Friends. It's the beginning of a series of very basic five-point blogging tips for newer bloggers. Today I've got some good stuff for you. First, the Forever Girl Anniversary Tour & Giveaway, followed by our official A-to-Z Challenge host announcement. Wondering why the sudden push on A-to-Z? Sign ups begin January 30! You can find links to purchase Forever Girl at Immortal Ink Publishing, in both e-book and print. Also, if you get the Kindle edition, you can go to Rebecca's website, here, and find the Authorgraph section on the right sidebar to get your copy signed (cool!). Now, for the tour stops and prizes, which, by the way, are things the characters from the Forever Girl series love. After this listing, you'll find a Rafflecopter giveaway (my first ever to be done myself!!!) for an e-book copy of Forever Girl, so be sure to stop there before heading off for Day 1 of the Forever Girl Anniversary Tour Giveaway. Meet Valeria at Jennifer Sosniak Books! Prizes include: Tarina Tarantino Sparklicity Shimmer Dust, NARS lip gloss, and NARS eye shadow! Meet Circe at Megan Likes Books! Prizes include: Blood Transfusion Mason Jar Sippy, BUXOM eye shadow, and Rainbow Skull Bracelet. Meet Lauren at Bookish Things and More! Prizes include: Vera Bradley Purse, SkullCandy Headphones, and an iTunes Gift Card. Meet Callista at Rainy of the Dark! Prizes include: Bram Stocker Quote Necklace, Metal Headband, and a Leather Bound Journal. Meet Red at Girl who Reads! Prizes include: Bird Themed Earrings, Bird Eggs in Nest Necklace, Bird Eggs in Nest Ring, and Bird-Themed Purse. Meet Ophelia at Sweet and Sassy Reviewz! Prizes include: Forever Girl Soy Candle, Black Romance Bracelet, and a Bull Skull Necklace. Meet Thalia at A Life Among the Pages! Prizes include: Vampire Blood Mason Jar Sippy, Love Spell Body Spray by Victoria’s Secret, and Steampunk Lace Gloves. Meet Ivory at Lindsey R. Louck’s Blog! Prizes include: Smashbox Icon Eye Shadow Kit, Wave Magnetic Polish in Metallic Raspberry, NARS lip gloss. Meet Sophia at Ja Citam, A Ti?/I’m a Reader, What about You?! Prizes include: Vera Bradley Purse, Organic Blue Eye Shadow, and Organic Midnight Blue Nail Polish. Meet Paloma at Apocalypse Mama! Prizes include: Mystic Dreamer Tarot Cards and Book, Dream Catcher Bracelet, and a Whimsical Metal Headband. Thanks for stopping by! I hope you visit all the tour stops, enter all the giveaways, and win tons of these awesome, epic prizes! You can find more information on our new co-hosts, as well as the A-to-Z Challenge over at the official A-to-Z Challenge blog. Did you enter the giveaway? Plan on going on tour with Rebecca Hamilton and Forever Girl? What do you think of her cover? What about the prizes? Is there one you're specifically coveting? Will you be entering the A-to-Z? Today is L.G. Keltner's Beginnings Blogfest! L.G. asked us to write about any beginning we wanted. There are five billion thoughts that occurred to me, but I thought I'd talk about the beginning of my taking an active part in the writing community, because my blogging beginning is sort of wrapped up in there, too. This isn't about the beginning of my writing; I'm pretty sure I was doing that in the womb. Fetal philosophy. You know, "write what you know" doesn't cover much when you're floating in a bubble. No, I wrote for ages, but I had no idea there was a writing community out there where I could find support and education. It wasn't until a friend invited me to a conference (which I didn't go to) that I started becoming aware of what was out there. She asked me to a local meeting at another point, so I went. It took a lot for me to do that, as I'm a major introvert, and tend to be anxious about new social situations. I liked it; everyone was nice and I learned something. But most of all, I realized there were a bunch of other writers in Colorado Springs, and that there were local resources for us. They talked about the conference, about NaNoWriMo (which I'd never heard of), about a writer's contest, etc. Brain overload! My brain fizzled like that of a malfunctioning Stepford Wife. I was a bit overwhelmed, but I was also excited. I started attending regular meetings, signed up for a local writer's group, and finally, attended my first conference. It was at the conference that I learned that I knew absolutely nothing about publishing, that I had unrealistic views of the business of writing. And it was at that conference that I heard about platform and blogging, which planted the seed that became The Warrior Muse. I've posted about the beginning of this blog before, so the short version is that I had no idea what to write about or what to do. I'd throw up a random post here and there, mostly updates about meetings I went to. I had no idea what to say, no idea how to get anyone to read the blog (I hadn't told anyone I was even blogging, because I was too insecure about what I was doing). 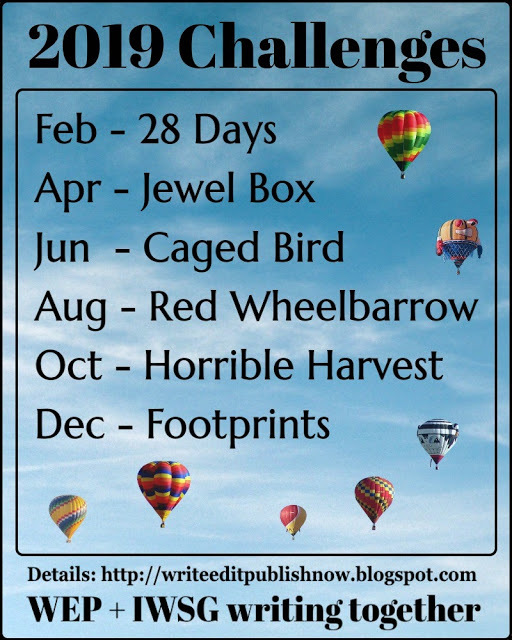 And then I somehow happened across a post about the upcoming A-to-Z Challenge. I bookmarked it, but was terrified. Then one night I looked at my blog and decided I needed to sink or swim, so I opened that bookmarked page, gulped, and filled out the linky list entry. Then I sat there hyperventilating until I clicked to enter it. The rest is history. From one beginning to another, to another, to another. I'm now an active blogger and an active part of the the writing community here. I'm in two writer's groups, and I volunteer for each, as well as the conference, and I couldn't be happier. Thanks for an interesting blogfest, L.G.! 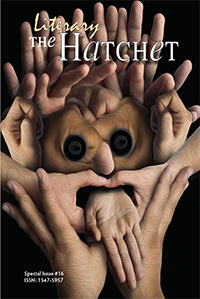 Menacing Hedge is accepting poetry, art and short stories. They are a quarterly magazine. "Genres that tickle our fancy are horror, slipstream, magical realism, and science fiction, with styles that lean toward humorous, absurdism, experimental, literary, bizarro, quirky and surreal." Gutter Books is reopening for submissions. Reading period begins February 15. They are seeking pulp fiction. 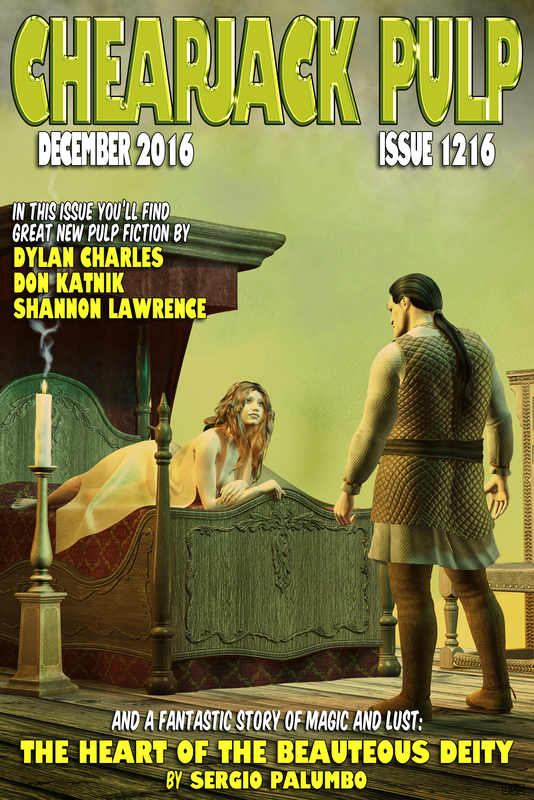 Electric Spec closes to submissions January 15 for their February issue. Speculative Fiction. Paying market. Commentary is always open to submissions of articles or reviews. Free Spirit Publishing is open for non-fiction book submissions for kids and teens. The Red Asylum is seeking dark and twisted flash fiction for their 5th edition. Non-paying at this time, as they are a new magazine. 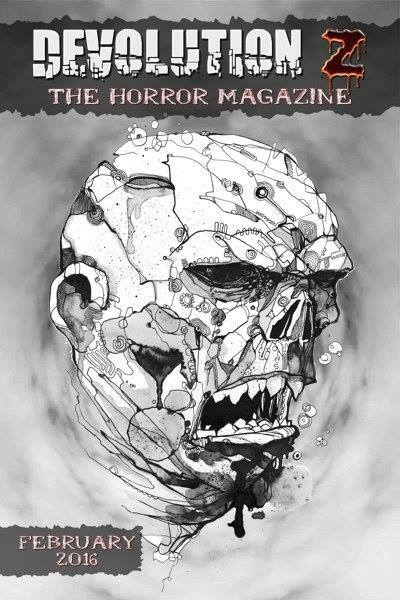 Grinning Skull Press is open for submissions for an anthology about B-Movie Monsters. Paying market. Deadline March 31 or until filled. Short stories 3000-10,000 words. 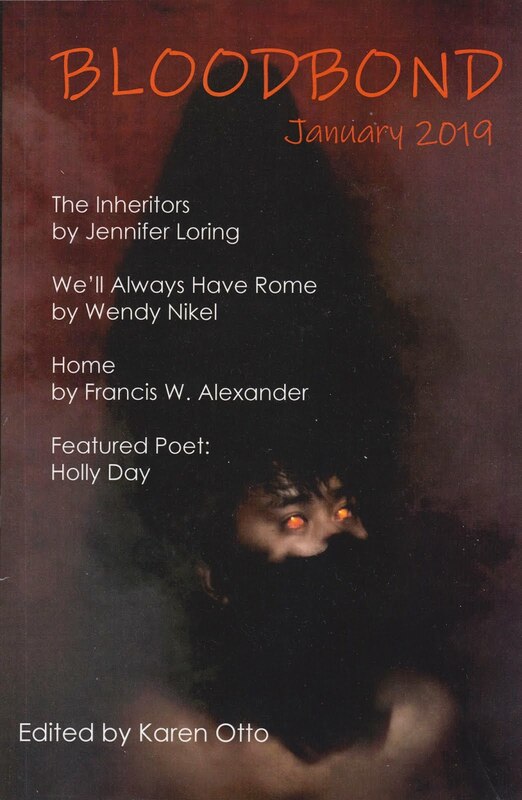 Pantheon Magazine is seeking submissions of short fiction, poetry, reviews, art/photography, and interviews. They take reprints. They publish all genres. Paying market. Monster Corral is seeking stories about monsters in 2013. 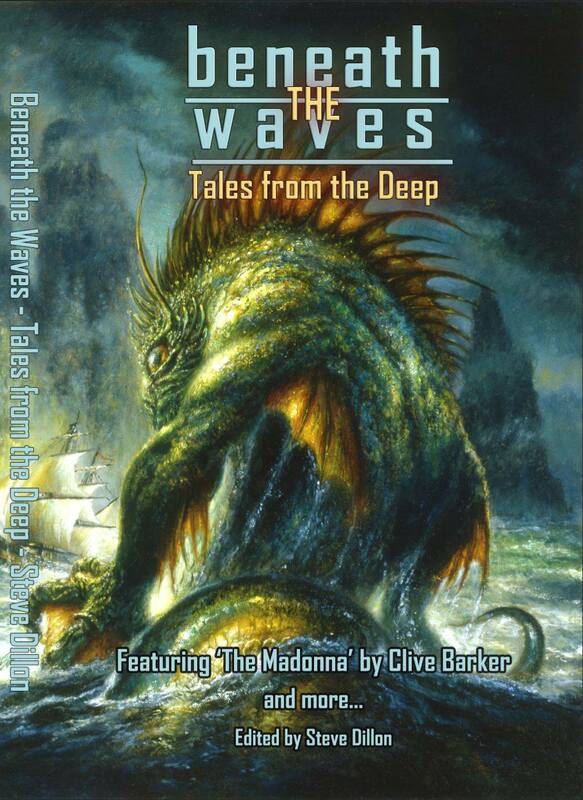 Any genre, as long as there are monsters. Paying market. 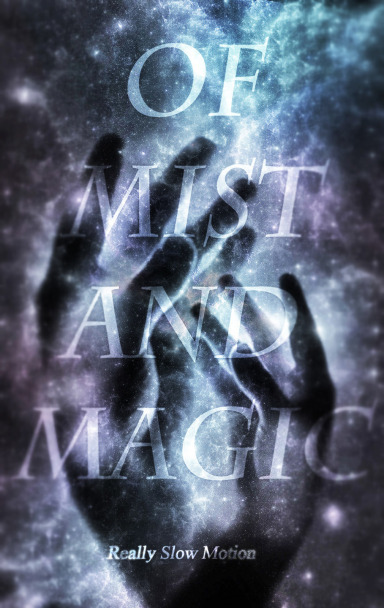 Angelic Knight Press is putting together an Urban Fantasy anthology, and are open to submissions January 15 to May 15. Short fiction. Shared royalties. Winning Writers is still taking entries for their Wergle Flomp Humor Poetry Contest, closing April 1. No submission fee. First prize is $1000 and publication online. 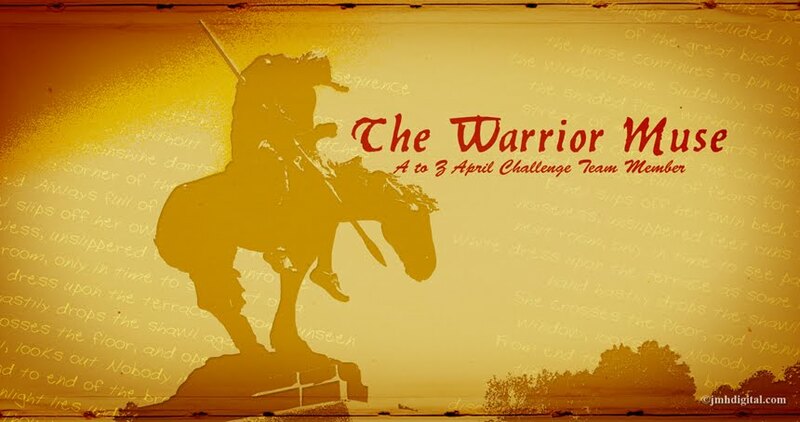 The London School of Liberal Arts is having a competition. They want you to tell your story of one thing that needs to change. Submission deadline is February 28. Free entry. Open to everyone. Cash prize. Donna B. McNicol is having a scavenger hunt contest for her blogaversary. 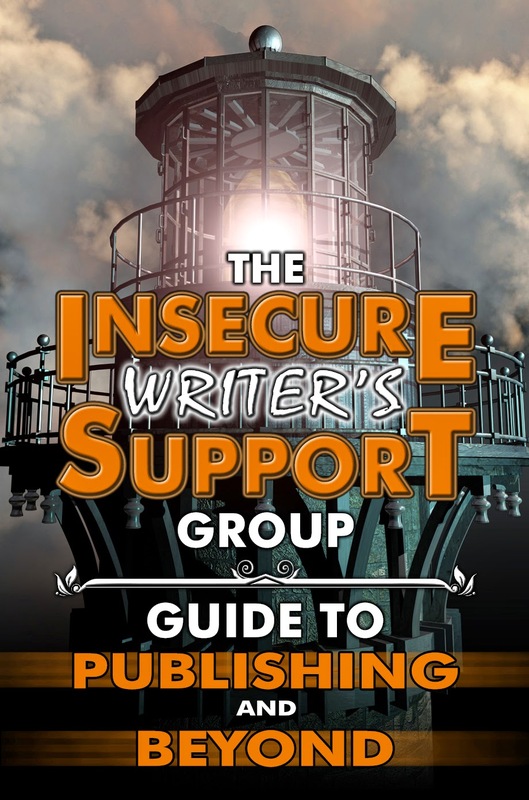 Melissa Maygrove put together a great motivation and resource post for writers. Chris Winfield posted 92 Ways to Get (and Maximize) Press Coverage. You can find a free book marketing cheat sheet at William Hertling's Thoughtstream. One last thing: Hop on by the A-to-Z Challenge blog for a Post A-to-Z Road Trip update. Anything you'd like to share? Any contests or publications you're interested in above? What beginning would you write about? Are you road-tripping? Many of you know of Carol Kilgore from Under the Tiki Hut, a warm and welcoming place where we writers get to visit the beach, maybe have a drink, and discuss things relevant to all of us. 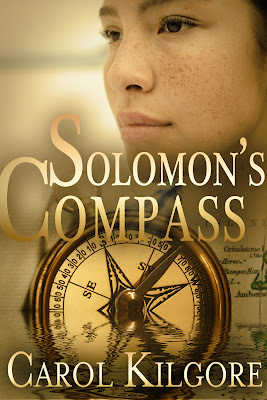 Well, today is the cover reveal for Carol's upcoming release, Solomon's Compass. To introduce the reveal, I'd like to set it up with the Top Ten reasons you should check out Solomon's Compass. Carol Kilgore has always had stories and characters in her head, but she didn’t know she should write them down until about a dozen years ago. Once she started, she couldn’t stop. 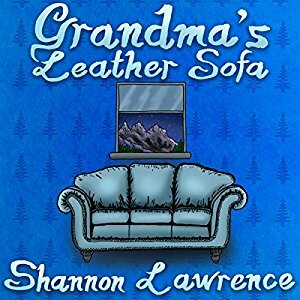 Her first published short story won the Derringer Award for Best Short-Short Mystery. She continued to write short fiction for a few years and also enjoyed a small success as a freelancer before giving it all up for her true love—novels. Carol writes a blend of mystery, suspense, and romance she calls Crime Fiction with a Kiss. Always at least one crime; always a love story. 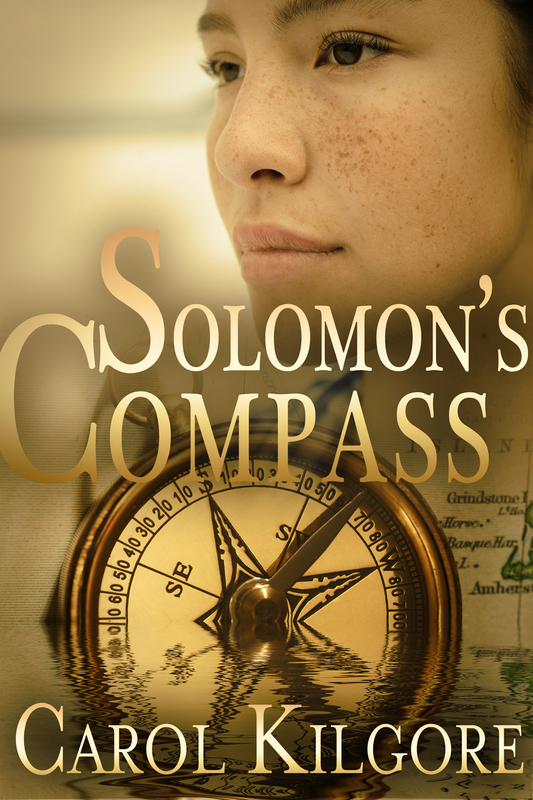 Solomon’s Compass is her second published novel. As the wife of a Coast Guard officer, Carol has lived in locations across the U.S. She and her husband now live in a San Antonio suburb and share their home and patio with two active herding dogs that keep them free from all danger, real or imagined. Before I let you go, be sure to check out the new A-to-Z badges for 2013. We'll be announcing the new team of co-hosts soon, along with some new information, and sign-ups will open at the end of this month, so stay tuned! What do you think of Carol's cover? Are you excited to read Solomon's Compass? Have you grabbed your new 2013 A-to-Z badge or banner yet? It's the first Wednesday of January, which means it's time for the Insecure Writer's Support Group! 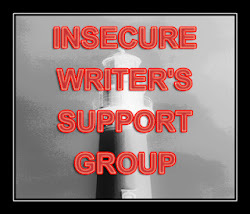 My insecurities are catching up to me as I write one novel and edit another. I find myself getting sucked into a downward spiral of doubt. No one will want to read this. I've screwed up so badly that there is no fixing it. I should just scrap this and start something new. What am I doing?? Or, in the words of Adam Sandler: "They're all gonna' laugh at you!" (I tried to find a YouTube video of that skit to share, but I could only find other skits from that album, darn it). I know this is just one of those lows when my insecurities catch up to me, and that I'll get through it, but it's always rough in the midst of it. Disclaimer: I have not researched and cannot personally recommend anything passed along in links. I simply record information I've happened across in my interweb wanderings in the hopes that something will be helpful to you! Please be sure to research anything before entering/submitting/applying. Agent Sara Megibow, of the Nelson Literary Agency, is leading a 2-hour workshop on How to Get Your Book Published. This will take place Sunday, January 13, 1:00-3:00PM, at Denver Jewish Day School Discovery Lab. Cost is $50. The Great Novel Contest opened January 1. Cost is $40 to enter. It's sponsored by the Columbus Creative Cooperative. The winner will receive their choice between $1000 and a publishing contract with Columbus Press. Closes the last day of January, or sooner if 200 entries are received. 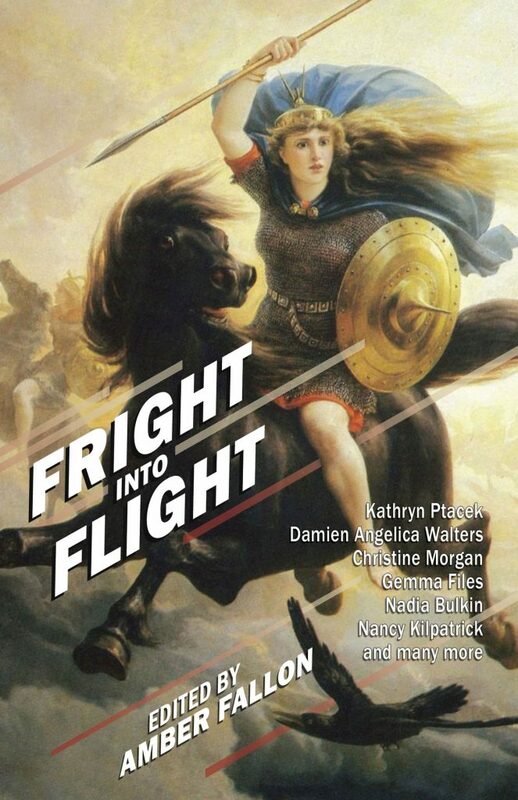 Kazka Press has a monthly flash fiction contest for publication with a specific theme. January's theme is An Undelivered Valentine, and is open from January 1-20. Pays $10. 712 words to 1001, somewhere between those. No cost to enter. If you're planning on attending The Crypticon in Seattle (which I had badly wanted to attend, but I have to use those funds for something else), they are having a great writing contest, sponsored by Blysster Press. Entry fee is $10. Deadline is February 10. 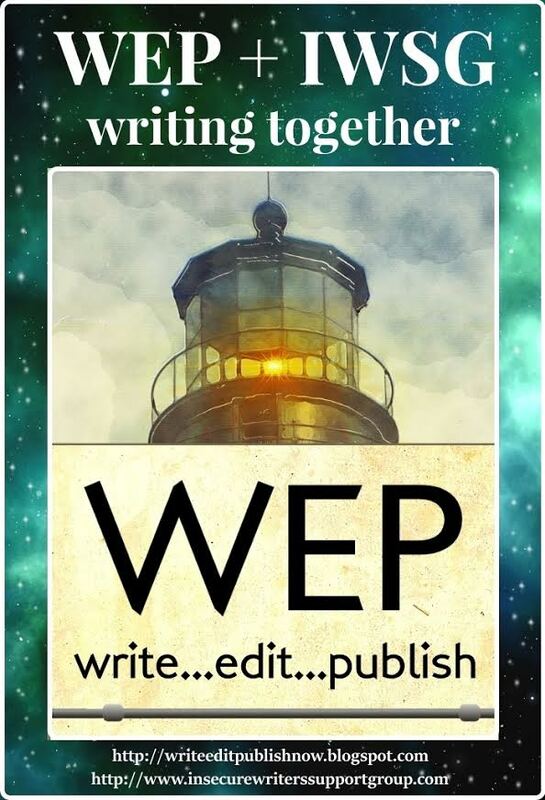 Finalists will be published in an anthology. Caveat: You MUST be attending Crypticon to enter. Sad sigh. Cemetery Dance is accepting fiction submissions until all 2013 slots are filled. Paying market. 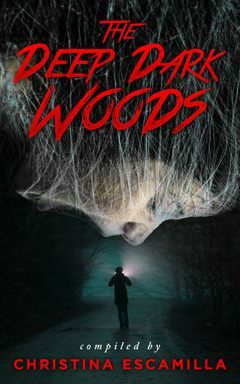 Looking for horror, dark mystery and suspense. 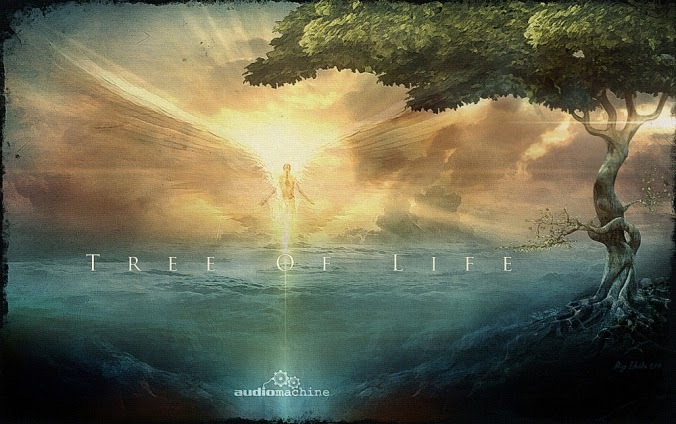 May query for non-fiction and artwork. 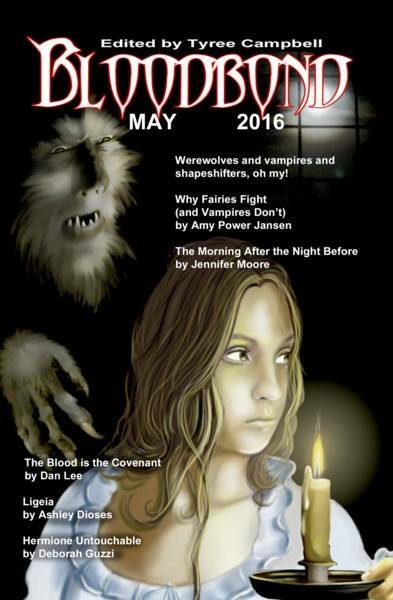 Belladonna Publishing is looking for Gothic fairy tale submissions for their anthology Black Apples. Paying market. Closes January 15. The Lovely Pink Diva is seeking female writers to blog about female topics, such as health, beauty, fitness and lifestyle. Novelnook is a new website positioning itself as a platform for self-published authors. Their front page says you keep 100% of your sales. Worth researching. The Hugo Nominated Patrick Hester (a local) put together a post entitled Author Resources and Other Fun Things at his blog All Things From my Brain. The Writing Box is seeking interviews with published authors. Free press, people! Anything to pass along? What are you insecure about? Anything above you're excited about?